new super-power in the video conferencing industry. about building a remote team that is both productive and social. Hi Meri, how does remote working happen at appear.in? Do you all work remotely, or is it a mix? Obviously, we encourage and like remote working — but we do also have an office in Oslo, Norway. Some team members choose to work from there; it really depends on the person, and the team. Personally, I enjoy working from different locations, so I can visit friends and family. Sometimes I go for ‘workcations’ for a few weeks. At other times, I mix working in the Oslo office and working from home. So my location tends to vary day-to-day. Some of the appear.in team are based in other countries, so they work remotely most of the time. We currently have team members in several other European countries, and the US. Why did appear.in choose to build this kind of remote team? Well, our company creates video-conferencing tools for location-independent groups, so we need to use our own product! Working remotely ourselves means that we really understand the market, and what contributes to making remote-working easy or hard. I work in marketing, so for me, working remotely and using these tools also really helps me to tell the story of what we do as a company. There are other reasons too. At appear.in, we believe that offering a remote work policy is all about giving people the freedom to choose. It’s about team happiness, not cutting office costs. So the company still has an office, because we want to offer people the choice to work in the way that suits them. And it’s great to have a space to get together for meetings; we tend to find it easier to work together remotely if we’ve spent time together face-to-face. Concern for the environment is another factor. Remote working reduces carbon emissions and spreads out the rush-hour traffic, which is really important for reducing pollution in cities. Working across multiple time-zones can be a challenge — how do you manage it? We have colleagues in several different time zones, so we try to have update meetings at times that work for everyone — so maybe 3pm for those of us in Norway, which is around 7-8am for colleagues in the US. What helps your remote team work well together? We try to hold each other accountable, and we also try to make it as easy as we can to work together and to cooperate. For example, when we’re working across time zones, the team members on both sides need to take responsibility for managing those relationships, and setting times that work for everyone. We use regular meetings and standups to help everyone stay on top of things. We also have some virtual social time on Friday afternoons; we get together each week for beers (or coffee, depending on preference and time zone! ), which gives people the chance to chat more informally. It is harder for our colleagues in the US. They can’t so easily come to the office, so they are working remotely all the time. We do think about how to make that easier. There are certainly lots of challenges. But it’s all about managing expectations and being flexible as well — so sometimes I might need to change the day I’m in the office to fit in with other people, for example. Remote working reduces carbon emissions and spreads out the rush-hour traffic, which is really important for reducing pollution in cities. I think having something like our virtual, social hangouts on Fridays can be really valuable. We give these some structure, with different topics each week to help people to get talking. For example, we might all share a funny story one week, or tell everyone about our first job another week — just something simple to help people get to know each other better. We also have at least two social gatherings each year, which is a time to just be together, not to work. So we might spend time cooking, hanging out, or learning a new skill — we’ve been climbing and snow-kiting in the past. We take lots of photos and make films of our trips — it’s a great way to make and share memories. It’s not the only recipe for team-building, but it works for us. I’d also say, ask your own team what sort of things they’d enjoy doing together. Be open to trying some different activities and ways of connecting, and then use the methods that create the most value and connection for you. 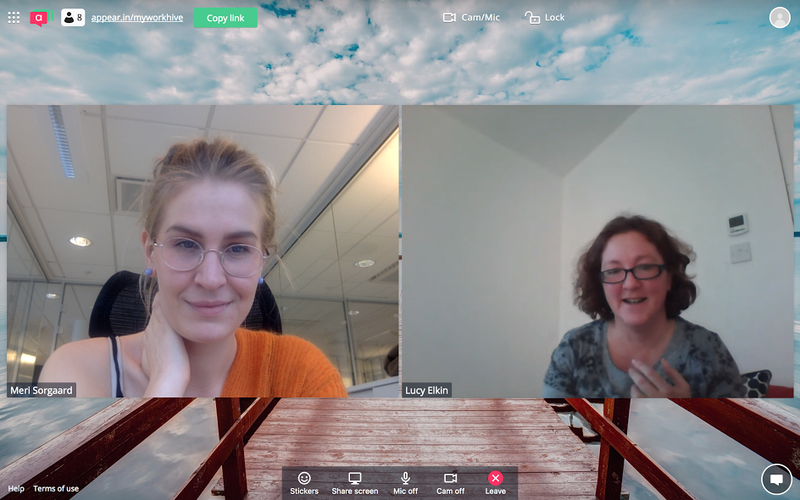 As we have some fully remote team members, we do try to make sure we have plenty of time to hang out and socialise with them when they do come over to Norway. It’s good to make the most of those opportunities to spend time together in person. I think another important thing is to realise that different ways of working suit different people. Some people really need lots of social interaction, but others don’t. So, it’s important to tailor the way you work and socialise, and the type of team-building activities you do; try to make sure there’s something for everyone. Video conferencing doesn’t have to be just for meetings. Try scheduling some virtual social time each week, to help team members get to know each other and stay connected. appear.in believes that offering a remote work policy is all about giving people the freedom to choose. It’s about team happiness, not cutting office costs. So the company still has an office, because we want to offer people the choice to work in the way that suits them. What have been the benefits of remote working for you personally? Basically, I’m a happier person! As long as I deliver, I can work in the place that suits me, which gives me lots of freedom. I think big companies are still sometimes scared of letting people loose from the office! But as an employer, think about what you are offering: allowing people more choice about when and where they work is a great way to attract talented people. You’re also creating a work culture for the future. The people who are students now really value their freedom and flexibility — and want to be involved with companies that also have strong values. 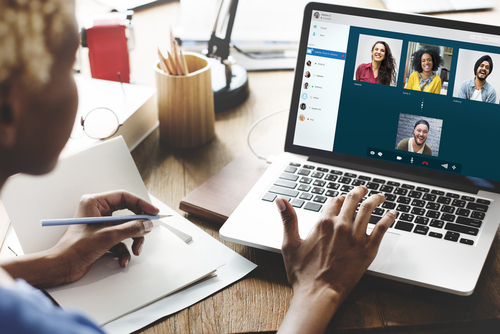 So building a remote team is great for employees, but it has loads of benefits for employers too. Many thanks to Meri Sørgaard, Product Marketing Manager at appear.in. You can read more here about how teams are using appear.in to stay productive and connected.